Planning for a reunion, group picnic, birthday party, or wedding? 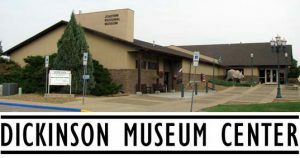 Consider reserving one of the available facilities at the Dickinson Museum Center for your next event. Check Our Events Calendar to see if the date and time is available. Contact us by phone at (701) 456-6225 to find out more information and book your rental today. 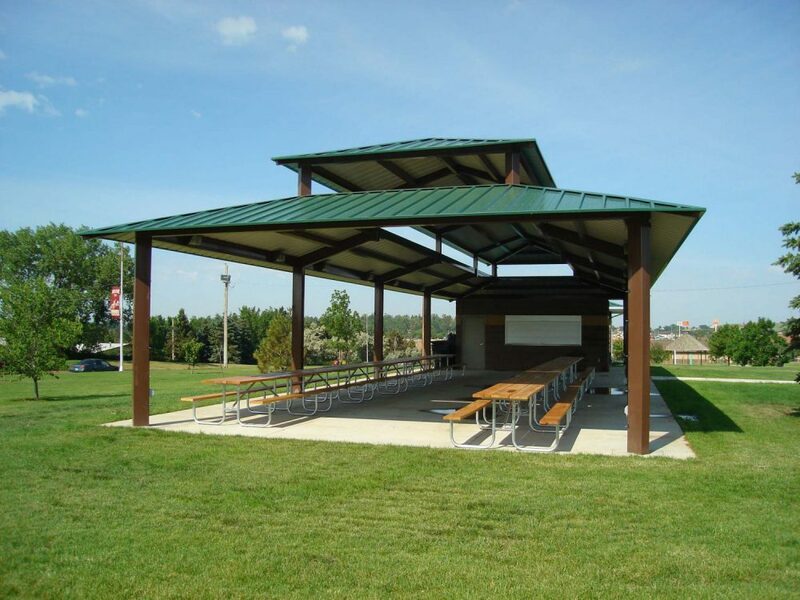 Located on Museum Drive, in Prairie Outpost Park, the Heritage Pavilion Picnic Shelter is available to rent for reunions, birthday celebrations, picnics, receptions, and other private events. Rental fees for the Pavilion are $15 per hour or $120 per day. A $125 damage deposit is also required and will be returned if there is no damage. The historic Ridgeway Church is perfect for couples seeking a quaint and intimate setting for their wedding. 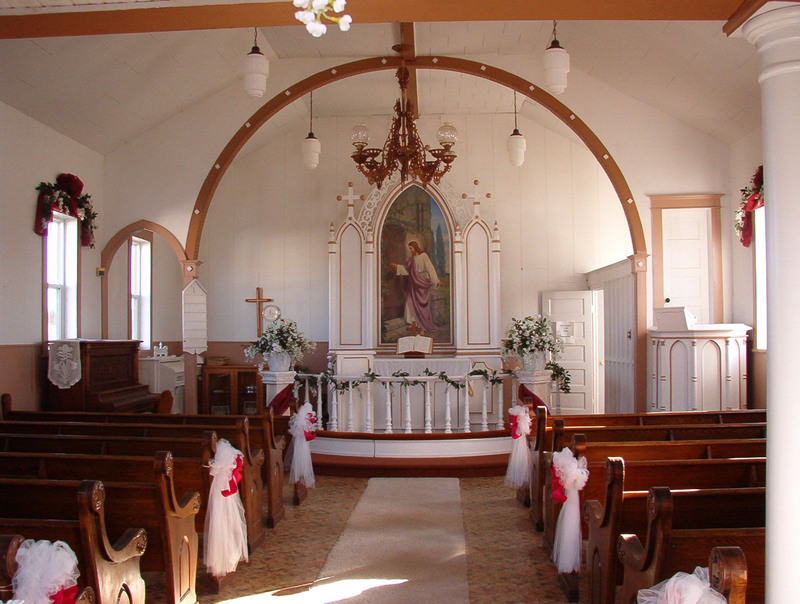 Rental of the Ridgeway Church for a wedding includes the use of the church and the gazebo. The church has electricity. Free parking is available along Museum Drive and in the Museum parking lot. Wedding parties are responsible for arranging the official of their choice. Decorating should be done during the scheduled time. Rental Wedding party is responsible for cleanup and removal of all decorations. Dickinson Museum Center staff can provide suggestions for decorating so that none of the historic elements in the building are damaged. A larger, outdoor, wedding can be accommodated in various locations on our grounds, season permitting. Receptions may be booked in the Heritage Pavilion Picnic Shelter, located in Prairie Outpost Park across from the church for an additional fee. The cost to rent the church is $50 per hour. The first $25 must be paid when submitting the contract to guarantee the date, and the remainder of the fee is due two weeks before the event. An additional damage deposit of $200 is also required upon pickup of the key and will be returned if there is no damage. 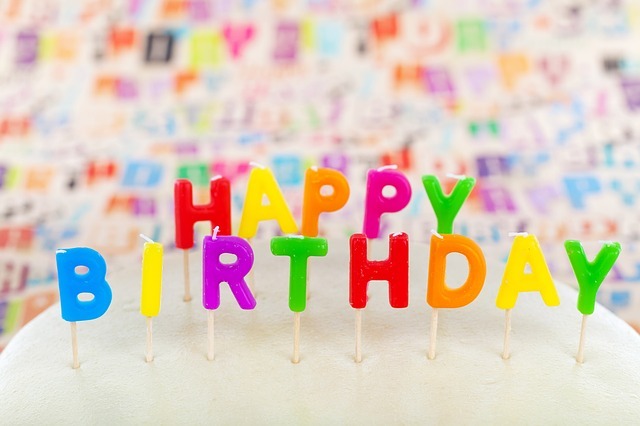 Host your child’s Birthday party among the Dinosaurs at The Dickinson Museum Center! This unique setting is available for a fee of $75 for groups of up to 10 children and 5 adults. Additional children/adults will be charged at $5 each. We ask that you schedule the party at least 2 weeks in advance with a $25 non-refundable deposit to hold the date and time. A contract will need to be completed at the time of the deposit payment. Included are two age appropriate activities and/or crafts, admission to the Museum, gift bags for each child, and the use of our room for 2 hours. The room is not very large which is why we recommend that you keep the number of participants to 15 or less. The length of your party shall not exceed 2 hours. You may come in up to one-half hour before your party’s start time to setup as long as you have notified us at the time of booking. Food, candy, or drinks are not allowed in the Museum. All food must remain in the party room.